For many, many years the positions I gravitated to were those of helping others. Twenty years squeezed into a page and a half…. My name is Jean Hope and I am trained as a school counselor, hold a BLS in Psych and a M.Ed. and Counseling; spent years in the schools with children of all ages; doing all the things that counselors do. It was both a brutal and richly rewarding job and I loved it. But because there was such a need beyond what I could do as a school counselor I was also working toward my clinical license for professional counseling. Then the unthinkable happened. My husband was diagnosed with terminal cancer and in four months he was gone. For those who have experienced this, it rocks your world. After a couple of years, I realized my passion for counseling had died too, it was time to leave the school. However, I knew that my passion for helping others was still alive. Along with being a ‘helper/encourager/counselor type, I also became interested in everything wellness which usually includes somewhat of a departure from traditional ideas to a more alternative way of thinking, living and treating illness. I devoured books on these topics and, guess what, I loved it, but wondering what do I do with this? At just the right time I found Arbonne, an international health and wellness company. I moved from working with children to working with mostly women. And, I loved everything about it – the culture, the fabulous women and the high performance pure, safe and beneficial wellness products that were Swiss formulated, but USA made. These products did wonders for me physically and the “building a business” part gave me a new hope and a new passion. But I got to a certain level in my business and I could go no further. I knew something was terribly wrong, but I didn’t know what. I tried everything to find the fix, spent thousands, but nothing worked and it all came to a sad and screeching halt. While I still love, use and recommend the wonderful Arbonne products, my dreams of a successful business are only a memory. What’s next? One thing I did know was that I needed to make some money – so where can you do that when you live in a little rural place as I do? Go to Washington DC and work for lobbyists on K Street and that’s what I did. And I began praying to be led to what God really had planned for me. At this point, it’s now been years since my husband passed away. I had begun to ask daily about my purpose. I knew that when the timing was right my purpose would be revealed and it would be the perfect fit. Two weeks later, to my utter delight, the woman who knew all about that ‘emotion’ stuff was giving a presentation. That presentation was like something out of this world, interesting, amazing, foreign, hard to understand and believe, but absolutely fascinating. My husband (yes, new one) was selected to be a subject and the lady used something called muscle testing to get yes or no answers from my husband’s subconscious. I invited her to our home and she did a session on me and my husband separately. She released a lot of ‘trapped emotions’, which I found out were also called trapped energies. My husband and I both had heart walls (what are those?). It was incredible; most of her answers to my questions about not understanding how this worked were, ‘Read the book, Jean, it will answer all your questions.’ And she was right! 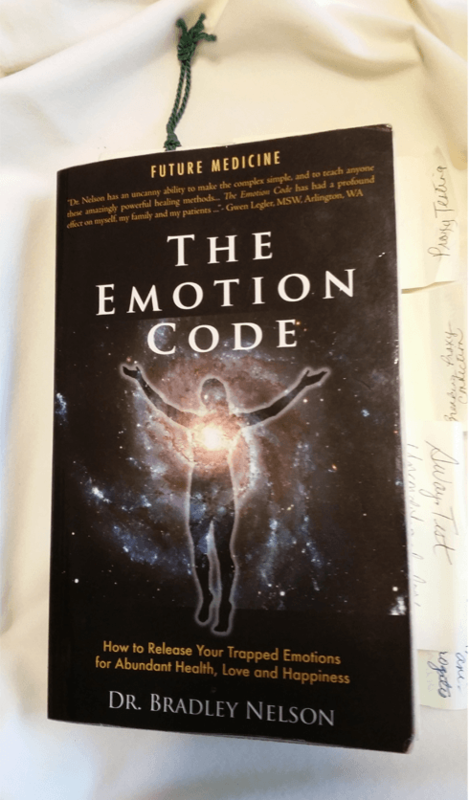 So, I read the book, The Emotion Code by Dr. Bradley Nelson. I didn’t just read it, I studied it. I read things that blew my socks off. I was learning about energy healing and, a new passion was taking root. I try to maintain a continuous conscious contact with God, the Creator or Higher Power so I prayed hard about this and asked, is this it? Is this what you want me to do??? Is this really my purpose? YEP! I didn’t seek this out, I didn’t even know what energy healing was. But there’s no doubt about it, I have been called to do it and now I’m told ‘You are a natural healer’ and I am so humbled and grateful. A whole new world opened up. With no hesitation, I got certified as an Emotion Code practitioner. 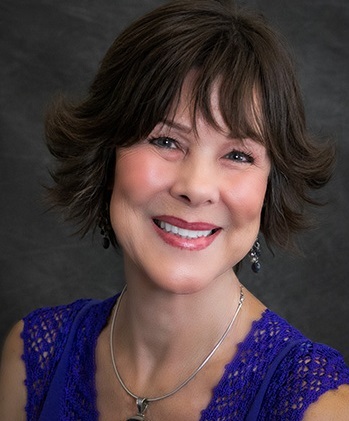 Soon after I began the rigorous training and certification requirements for The Body Code, the most advanced energy healing system in the world. I am thankful every day for this opportunity. I earned my certification and began my new career as a licensed, insured, Certified Body Code Practitioner, I love it and it IS a perfect fit. Now I’m led to help people in a most extraordinary and powerful way, a way that could only have been inspired by a loving and powerful God, who knows my heart. Lest you think that others are the only beneficiaries of this incredible healing modality, I too have experienced amazing results. For a variety of reasons, some known and some not, much of my life was a struggle. Maybe, at times yours has been too. I wanted things to be fixed and feel fixed. But I just couldn’t make certain things happen – no matter what I did, how hard I tried or how much money I spent. But through the life changing Emotion/Body Code sessions, the abundance program and the clearing of my Heart-Wall, the key that unlocked the door to health, wealth and happiness has finally been found. I am enjoying the benefits of being enough. I am enough now – it’s not out there somewhere – when this happens or when that happens. I know it deep inside me and I never did before – a huge and powerful change. Accessing the subconscious and removing the barriers was, is and will be the answer – and it’s within our reach. And, who gave us all this? The God of the Universe. All lives are a journey and I can see clearly now how He was preparing me for just a time as this. So, I could change the world one person at a time by helping them achieve their optimal health, wealth and happiness. “Everything is possible for one who believes…” Mark 9:23. It’s a tremendous gift. It happens by helping each person pour the hurt, grief, anger, fear, etc. from their cup so it’s ready for God to fill to the brim. He chose to use me as a conduit to give Hope to those in need, however they need it, physically, emotionally, and/or spiritually - that they may indeed know that Hope Springs Eternal. "Are you called to be a speaker? Then speak as though God Himself were speaking. Are you called to help others? Do it with all the strength and energy that God supplies. Then God will be given glory in everything through Christ Jesus. All glory and power belong to Him forever and ever. Amen." I am called to help others!